By Jake Rocheleau in Toolkit. Updated on May 23, 2018 . If you’re planning to learn Adobe’s newest UI/UX software then be aware that you’ll be in for quite a learning curve because Adobe XD is a really complex design tool. However, if you wanna fast track the learning process have a look at this guide published by XD Guru. 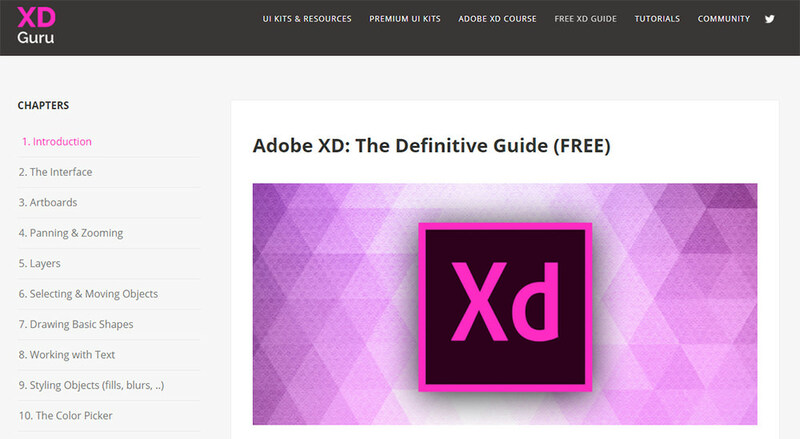 It’s the largest and most comprehensive guide to the Adobe XD software that you’ll find online. It teaches the interface, the tools, and even some basic workflows for designers, all free of charge! The nice thing about this guide is that you can get started without any experience. It’ll guide you through a step-by-step process for learning how Adobe XD works and how it fits into a typical workflow. Along the left-hand side of the page, you’ll find a table of contents. Use these links to jump around to topics you want to learn about. 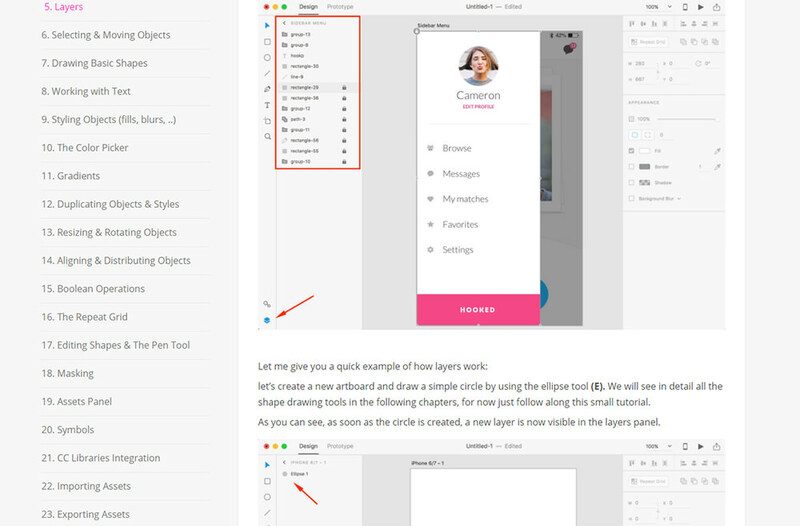 Beginners may jump ahead to topics like typography or customizing shapes in Adobe XD. But complete newbies will appreciate the step-by-step chapters and how easy they are to read through. Also, note that these chapters read like tutorials where you’re working through practice lessons. Each chapter includes plenty of screenshots with arrows and boxes to explain certain interface features. These mini-guides are incredibly valuable to anyone who wants to learn Adobe XD. Especially for people who have never used any design software before. Each chapter uses screenshots from MacOS but the interface is mostly the same for Windows. However, some of the keyboard shortcuts and menu items will be different so keep that in mind. I’ve used XD Guru for a while and even wrote about it recently. This site is truly the ultimate resource for anyone serious about learning Adobe XD. And with this intro guide at your fingertips, you can blow through the basics fast to start designing your own projects—Adobe XD style.